Super Extra Skunk was one of the first serious projects to create a next-level cannabis hybrid by crossing the groundbreaking Skunk #1 with an ancient, pure-bred, highly resinous Afghani Hash plant. 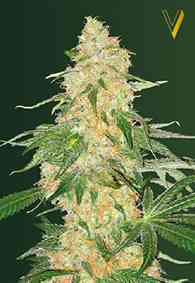 In 1990, Super Extra Skunk was released to great acclaim, picking up the mostly-Indica Cannabis Cup straight away. Dependable all-round performance makes this one of the top strains for connoisseurs —Super Extra Skunk always lives up to her super-vigorous, super-potent, super-fragrant reputation.